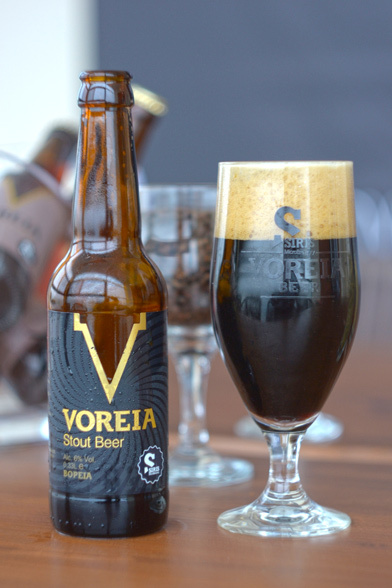 ﻿ Siris MicroΒrewery | Greek Micro Brewery, Micro Brewery in Serres, Greece | Voreia Beer, Pilsner, I.P.A., Stout, Wit | VOREIA STOUT: The new label of Siris Microbrewery makes quite an impression already! 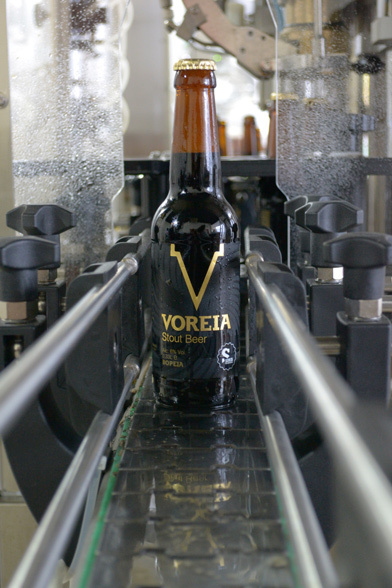 VOREIA STOUT: The new label of Siris Microbrewery makes quite an impression already! The Microbrewery of Serres and Northern Greece «Siris MicroBrewery» completes the first year of operation with the launch of the third label, introducing the first Greek Stout beer in Greece and offering a new delicious suggestion to all dark beer lovers. 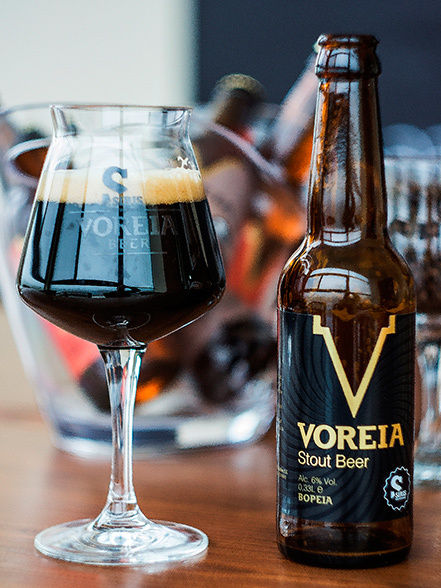 The Voreia Stout beer contains a combination of six different malt barley and pure Greek barley. It is non-pasteurized and unfiltered Ale that is characterized by black color and brown foam. Roasted aromas emerge intensely and hints of chocolate, coffee and caramel cooperate harmoniously, adding a special flavor identity to the new recipe. The taste is full, creamy and sweet at first and a slight acidity is distinguished as chocolate, coffee and caramel emerge, leaving then a strong aftertaste with a quite bitterness of dark chocolate. The beer has sophisticated thickness and density, with fermentation starting with 18 Plato, despite the moderate for the category alcohol concentration, of almost 6 volumes. It is available in bottles of 330 ml. The new beer is ideally combined with veal and pork, barbeque sauce, truffle, cheddar cheese, blue cheese, shellfish and molluscs. Moreover, it can be accompanied by desserts such as chocolate cake, chocolate soufflé or vanilla ice cream. 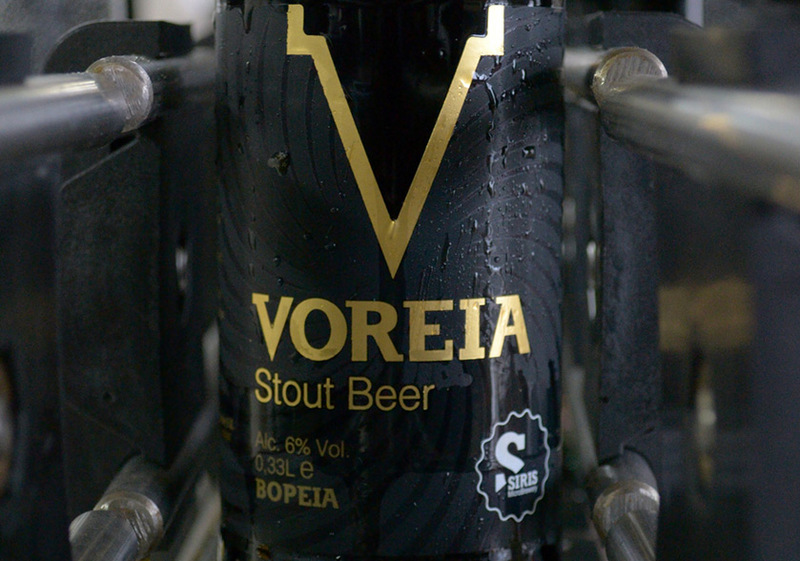 The Voreia Stout beer has already started its journey in the Greek market, receiving remarkable reviews from industry connoisseurs and friends of beer. The immediate plans of our microbrewery include the launching of a fourth label in January. The two new beers will be officially presented by the company in a simultaneous event in Athens and Thessaloniki in January. The first two labels, Voreia Pilsner and Voreia India Pale Ale, have conquered the Greek market and are already exported and they can be found in markets of Germany, Netherlands and Switzerland and soon in Northern America.